Solodev is the CMS for AWS. 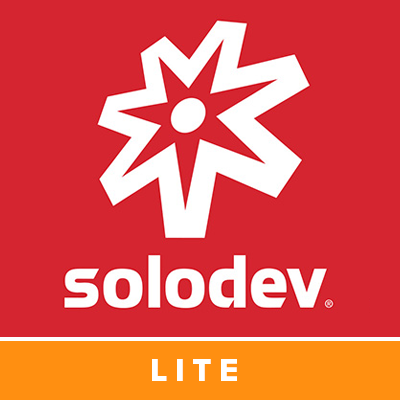 Ideal for small development projects, Solodev CMS Lite Edition for Linux gives you best-of-breed features and advanced capabilities all on a single web server. Available on-demand with convenient hourly billing or annual options. Solodev CMS Lite Edition for Linux: The perfect launch pad for small development projects, giving you optimal control in a streamlined package. Get best-of-breed CMS features, access to PHP, Apache, MySQL, and Mongo all on a single web server. Fueled by the rock-solid redundancy, security, and scalability of AWS, Solodev integrates with the most essential cloud technologies in the AWS stack, including AWS CloudFormation templates, Amazon Virtual Private Cloud (VPC), Amazon Elastic Cloud Compute (EC2), Amazon Simple Storage System (S3), and Amazon CloudWatch. Cloud-first, on-demand enterprise CMS designed exclusively for AWS and available in a single, affordable web server. Convenient monthly billing, no long-term contracts, and cancel at any time.